*Damaged does not affect readability. Cosmetic damage only. This damaged item is not discount eligible. 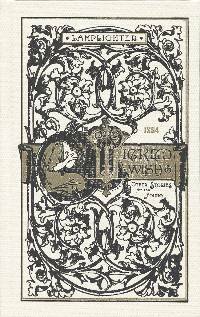 The Wicked Wish recollects a summer when little Augusta learns that, whether it is a wicked wish uttered in the heat of emotion, hurtful words that damage relationships, or hidden disobedience, sin lingers in our memory, coloring our actions and robbing us of joy. Little Geraldine, the wrong twin, is plucky and tender-hearted. Though she feels rejected and unloved, she is willing to bravely face further rejection to mend broken relationships! Join Geraldine in her adventures with a bull and a robber, as she learns that Jesus can soften the hardest of hearts.